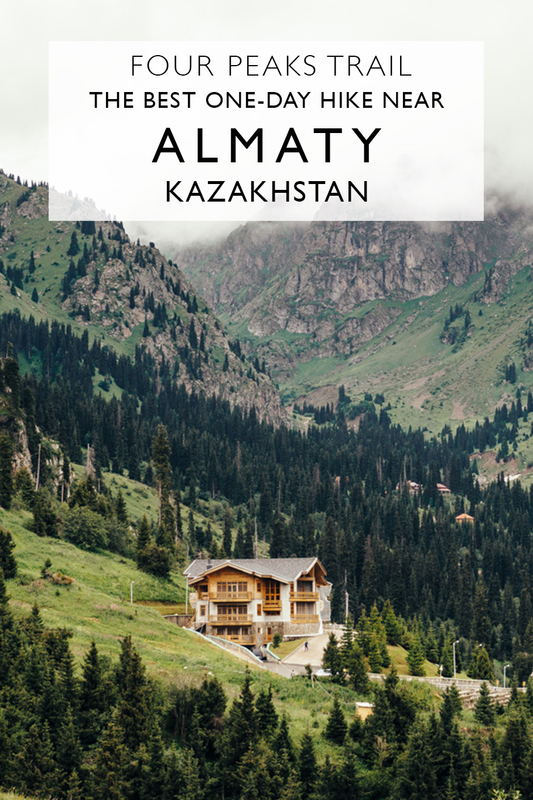 Almaty was the very first stop on our adventure through Central Asia. 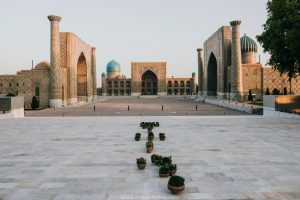 As we sat through the final hours of our flight, minds clouded with images of the endless steppe that comprised our admittedly fuzzy vision of what we were to find in Kazakhstan, it was instead the striking white peaks and deeply carved valleys below that had us glued to the windows. 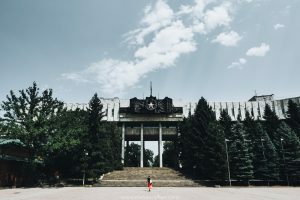 Our first days were spent exploring the leafy streets, chaotic markets and rigid Soviet architecture of the country’s former capital, but it was those dazzling white peaks we had seen from above that teased us from the city’s periphery. 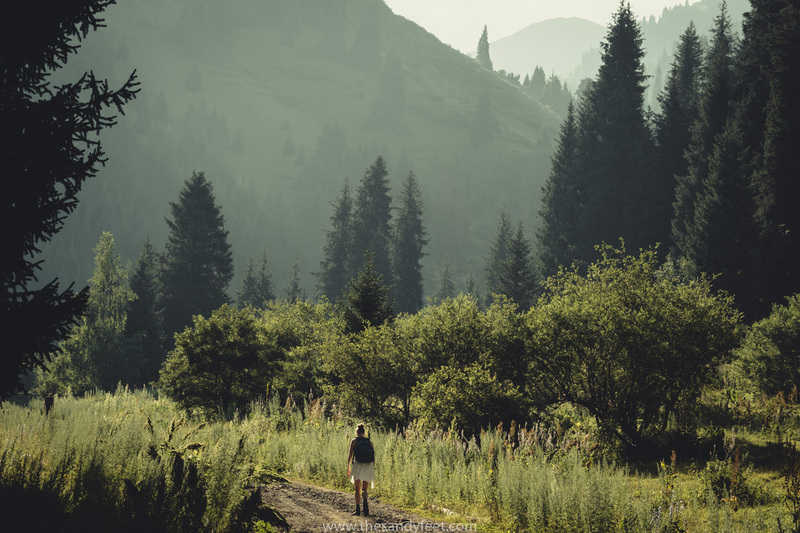 When a rare cloudless Saturday finally presented itself, we leapt at the opportunity to escape the city for a day of wandering in the mountains. Squeezing in tightly to the first bus of the day, we quickly realised we were not the only ones eager to make use of the glorious weather. 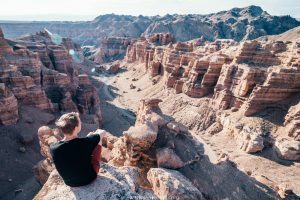 Between the many possible one-day hikes near Almaty, we had chosen to attempt the Four Peaks Trail, a challenging hike at altitude, but one that was said to give some of the most spectacular views in the area. Setting off from Medeu, an outdoor skating rink and once the home of the Asian Winter Games, it wasn’t long before we were winding through fragrant pine forests and over quaint wooden bridges atop babbling brooks. 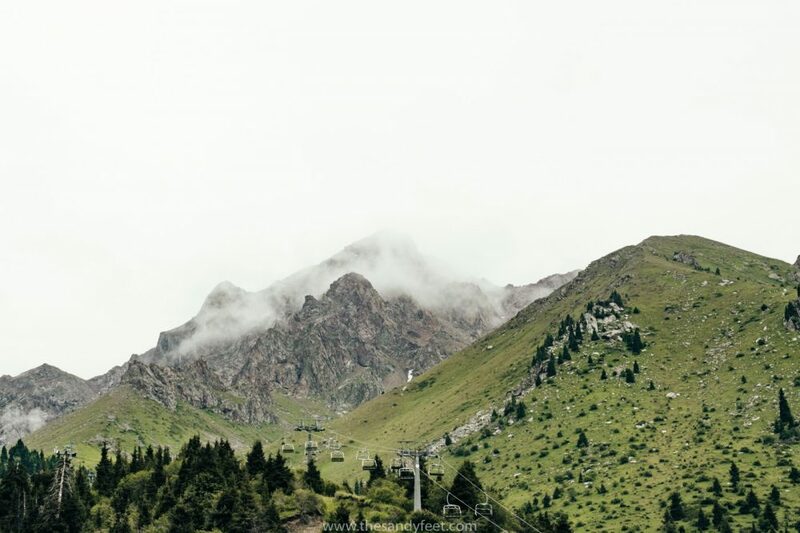 The cool mountain air a welcome respite from the smothering heat of Almaty in July. Turning upwards through the valley, the road narrowed to a dirt trail that led us to the ridgeline. Before us, the lush summer meadows sprawled outwards freckled with wildflowers that twirled gayly in the sunshine. 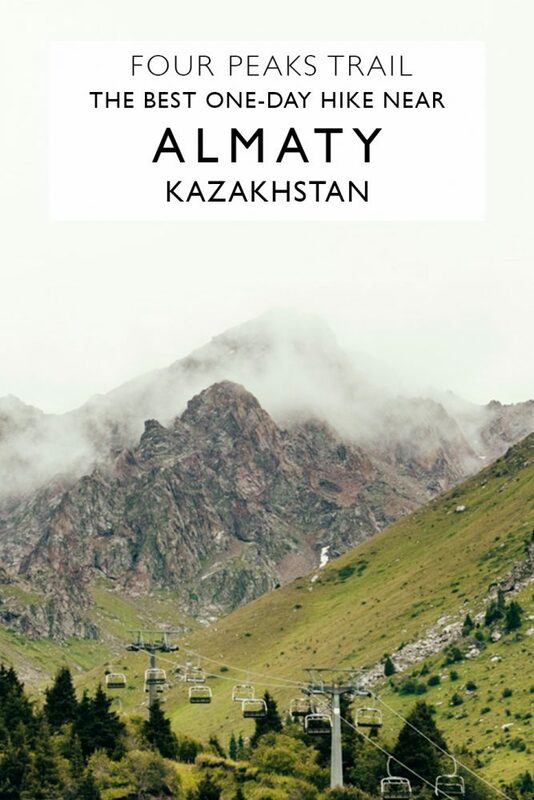 In the distance, the flat rooftops and industry of Almaty were marked by a blanket of stifling smog; a sight at odds with the verdant and tranquil countryside around us. 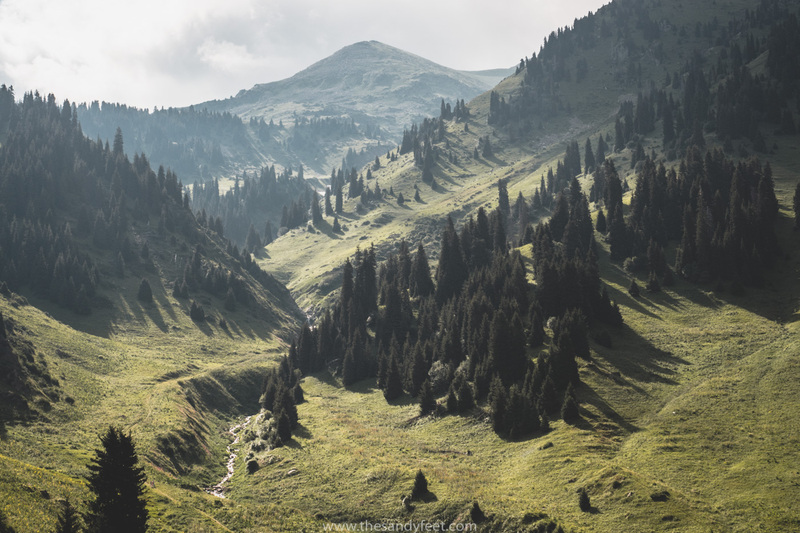 Following the ridge, the path steepened upwards toward Furmanov, the first of the four peaks we would be passing that day, and we ambled on stopping for many a photo, but truthfully, most were just a chance to catch our ragged breaths. Having flown in from Sydney’s coast just days before, we were not quite as accustomed to the altitude as other avid hikers on the trail. 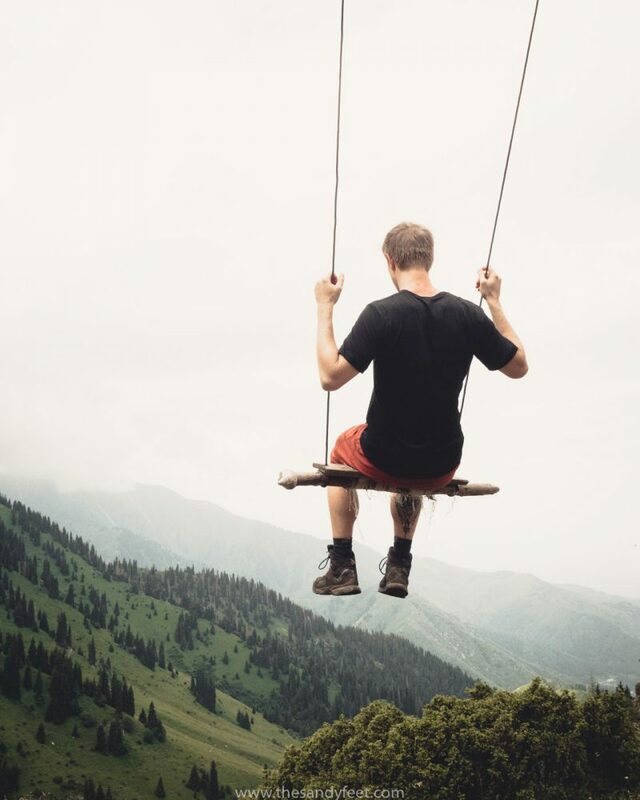 Stumbling further on the seemingly endless uphill stretch, we came across something that we had certainly not expected way up here in the lower Tian Shan – a swing. Perhaps an attempt to catapult the city to Instagram fame, or just a really fun way to enjoy the beautiful views. Either way, we gleefully made the most of it before setting off for the final incline to the top of Peak Furmanov. Though our day had begun beneath brilliant blue skies, as is so often the case in the mountains, a storm had been brewing furiously somewhere out of sight, and it chose the final few moment of our ascent to make its move. 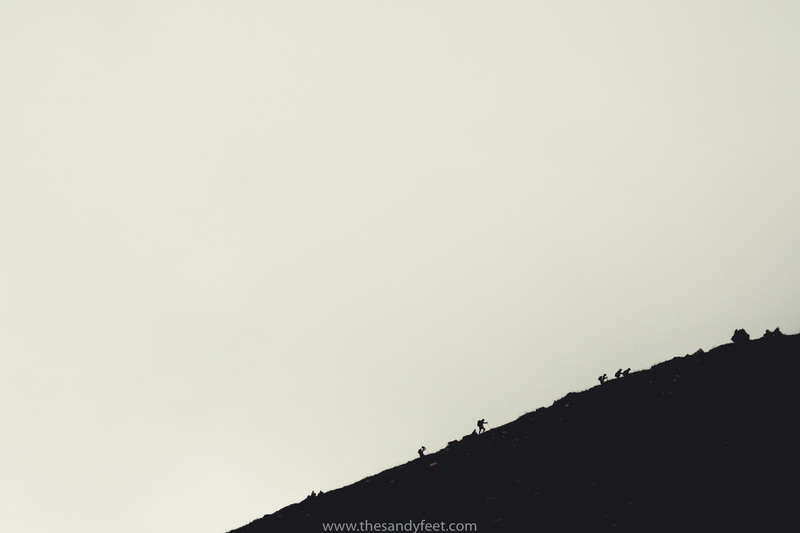 When we finally arrived at the summit, red-faced and gasping, we spied a brief glimmer of peaks through clouds before being engulfed in a sea of white. The spectacular view we had hoped for stolen away by the fickle whims of the weather. Our day was not wasted though. We waited momentarily, swapped stories with fellow hikers and were plied with an endless stream of snacks. From one look at our flushed faces and breathy conversation, they seemed to determine we might need the sustenance more than them. 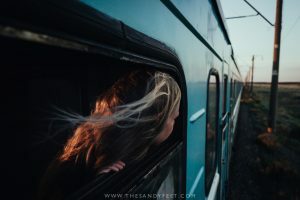 We would soon discover this to be the norm in Kazakhstan though, ever the generous hosts whether you’re squeezed into a train carriage, lost by the roadside or standing out of breath in a cloud of fog. Faced with the opportunity to go back down as many others were doing, we decided this would not be the end of our little adventure and pushed on for the final 5km of the hike. 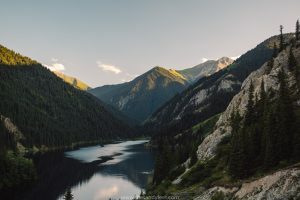 Already at 3,000m altitude, the next two peaks – Panorama and Bashuta – reached by just a gradual rise, didn’t present much of a challenge. It was the worsening weather conditions that became far more problematic. Beneath clear skies, the route is obvious, a simple hop, skip and jump between the peaks. Now, swarmed in a blanket of white with only the vaguest of trails to follow, we were relying heavily on our GPS map for guidance. With just 2km to go, the enormous shadow of Peak Shymbulak loomed through the fog before us and the barely visible trail reared up steeply through a maze of rubble and loose scree. Weighed down by slightly too heavy a backpack, fatigued from the biting cold and with the effects of altitude quickly beginning to set in, Chris’ pace began to slow dramatically. Finally at the top, we continued our slow amble along the rocky ridgeline, climbing over boulders and narrow rock faces and stopping frequently to catch our breaths. Evidentally our acclimatisation walk the previous day had not prepared us quite enough for this trek. Gratitude washed over us as we reached the final stretch of downhill, a defined zigzag leading us to the cable car station below. Voices echoed on the wind, fuzzy black figures drifted in and out of view in the eerie white and distinct whirring sound indicated we weren’t far off. 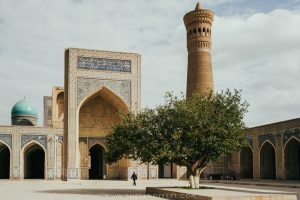 Tiredness washed over us as we stumbled into our carriage and were whisked down to the relative warmth of Shymbulak and a replenishing feast of steaming hot chocolate and soup. 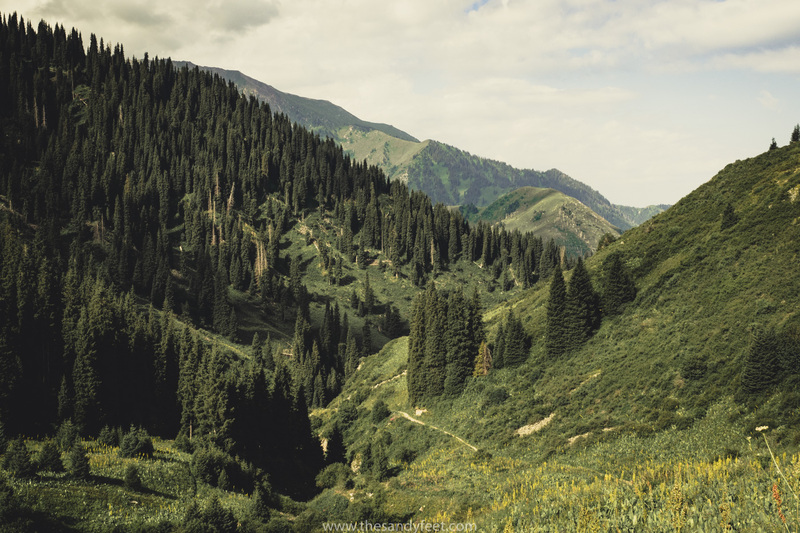 As often seems to be the case on our hiking outings, not everything went according to plan, but even though we didn’t get to enjoy the best views of the hike, we’d still consider this one of the best hikes to do around Almaty. 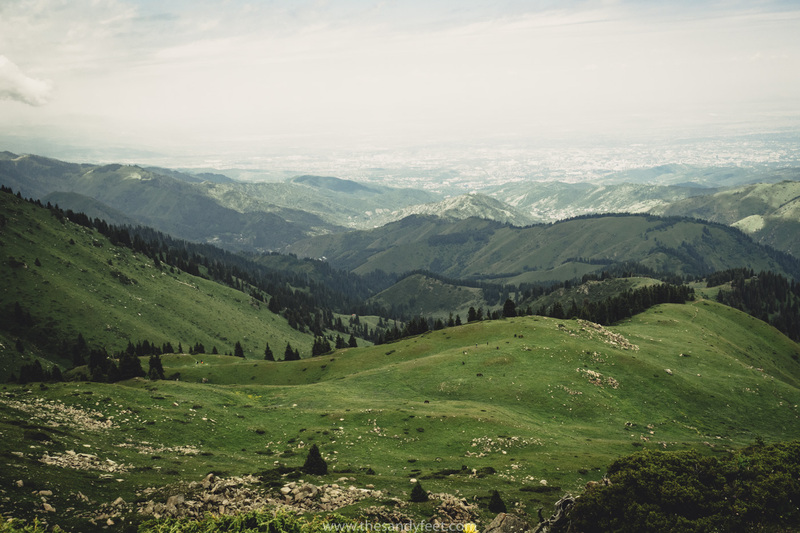 Altitude: The hike begins at Medeu at 1,690m and leads uphill toward Peak Furmanov at 3,050m. Peak Shymbulak, the final peak and highest point along the hike sits at a lofty 3,450m. 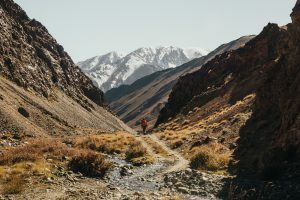 Alternate Routes: Instead of completeing all four peaks, many hikers turn back from Furmanov, returning via the same trail. This option still takes around 7 hours as the way to Furmanov is more or less all uphill. Don’t take the altitude for granted. Reaching nearly 3,500m with almost all of the route being uphill, altitude and weather are the biggest risks. We would highly recommend doing a few acclimatisation hikes before setting off for this one. 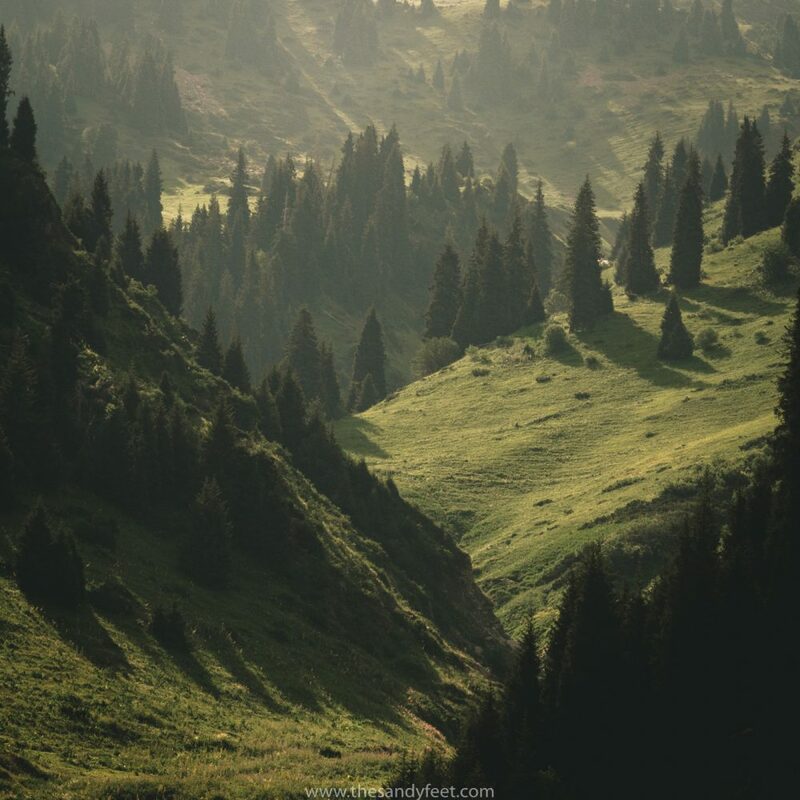 There are a number of other hikes around Medeu and Shymbulak that would be a good idea to ease yourself in. Know where you’re going. Attempting this hike without a map would, quite simply, be a little stupid. 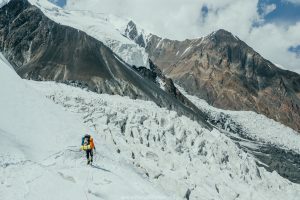 Getting to Furmanov is fairly straightforward, but the trail between the remaining peaks is very vague and in bad weather can become almost nonexistent. 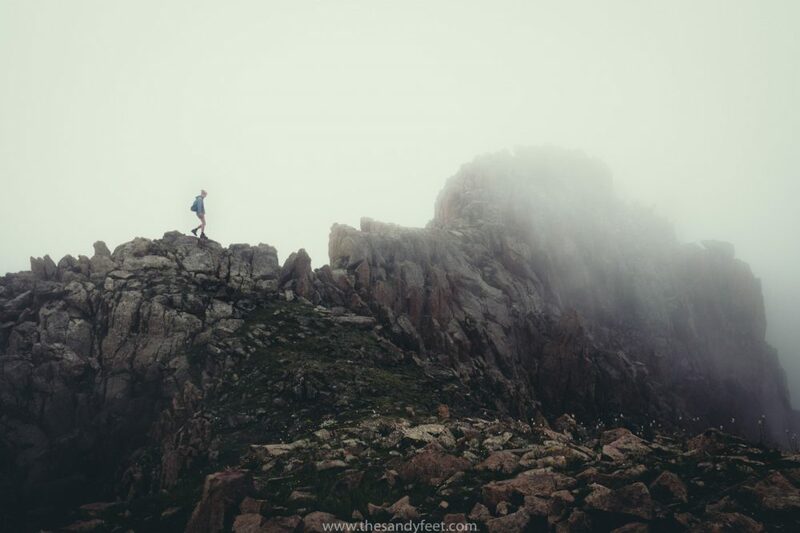 If you end up with low visibility, as is common in the mountains, without proper navigation, things could quickly go wrong. We’d highly recommend having a GPS map with you in case conditions change (we used Maps.me for the hike which has trail, inclines and altitudes clearly marked). Be prepared for all conditions. We started the day with sun and blue skies and ended it in icy conditions surrounded by fog and barely able to see a few metres ahead. Things change fast up here and freak blizzards in the middle of summer do sometimes occur. 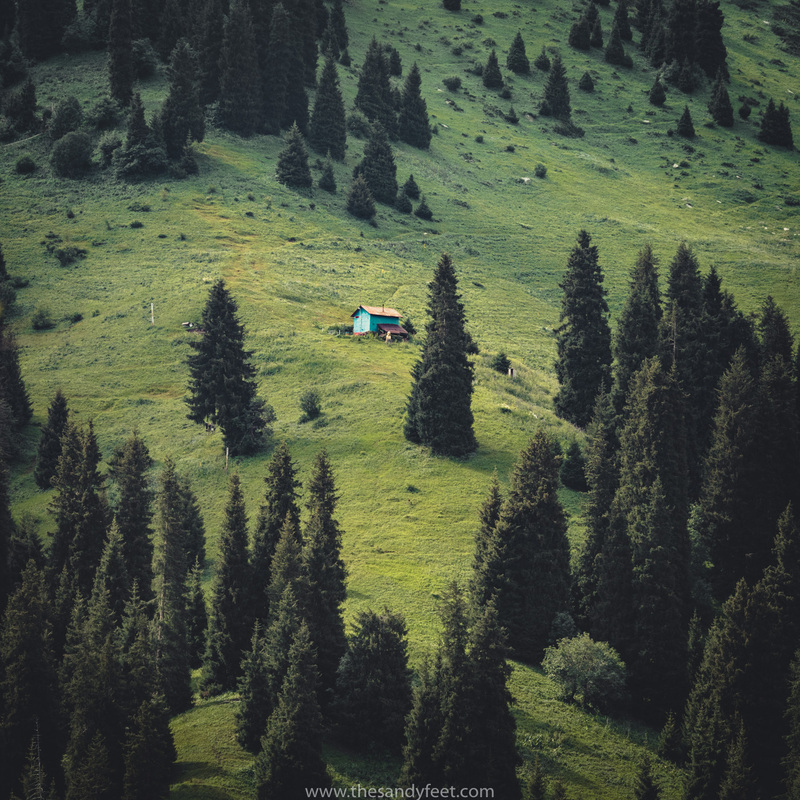 Bring warm clothes for the hike just in case – Almaty may be sweltering in summer but the mountains are an entirely different story. Also be sure to bring plenty of water (high altitudes are not where you want to get dehydrated) and snacks for the day. Aim to be down by 3PM. Feeling exhausted after our hike, we spent a wee while relaxing and warming up in the cafe in Shymbulak. When we went to catch the shuttle bus back down to Medeu however, the remaining tickets for the final 3 buses were already sold out and we were forced to take the somewhat costly cable car instead. If you’re on a budget, we’d suggest arriving early enough to get a ticket (1-2 hours before the final shuttle), especially on weekends. 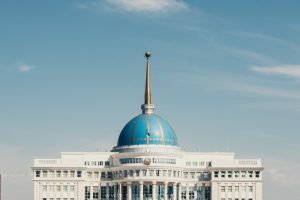 To get from Almaty to Medeu, take bus 12 (80T, $0.25) from opposite the Kazakhstan Hotel on Dostyk Avenue. Medeu is the final stop. From there walk back down the hill a short way and take the road leading off to the right which will wind into the forest. The hike ends at the Talgar Pass with a cable car that will whisk you back down to Shymbulak for free. Shuttle Bus: A shuttle bus runs between Medeu and Shymbulak every 15 to 30 minutes. Tickets must be purchased in advance at the ‘Kasse’ next to the bus bay. Buses can fill up early on afternoons and weekends so try to buy a ticket ahead of time. A clock near the Kasse should indicate first and final departure times. Price: 300T ($0.90). Cable Car: Arguably the most scenic and certainly the most costly, the cable car runs regularly between Shymbulak and the cable car station below Medeu. If you miss the shuttle bus, the cable car is the next best option. Price: 1,500T ($4.50). A two-stage cable car also runs the entire way up to Talgar Pass if you fancy the views without the hike. 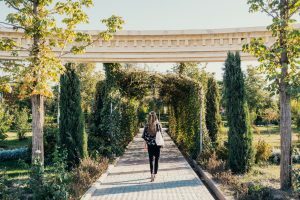 Walk: If all else fails, you can always walk back down to Medeu. A 4km road winds between the two and there are a few staircases which make the route even shorter. After a strenuous hike this may not be a welcome option so try to secure a spot on the others if you can. Price: Free. For the return to Almaty, simply catch bus 12 from Medeu or the lower cable car station. They tend to fill up quickly in afternoons and weekends. Taxis also wait around the lower cable car station if you don’t fancy being squished in like sardines. Like us, many people base themselves in Almaty and visit Medeu or Shymbulak and its surrounds on a day trip. 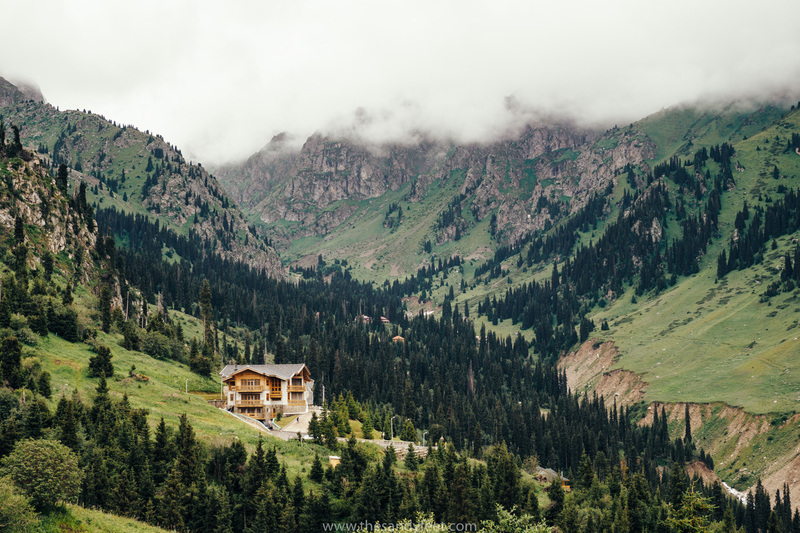 However, there are also a handful of guesthouses dotted around the mountainside. 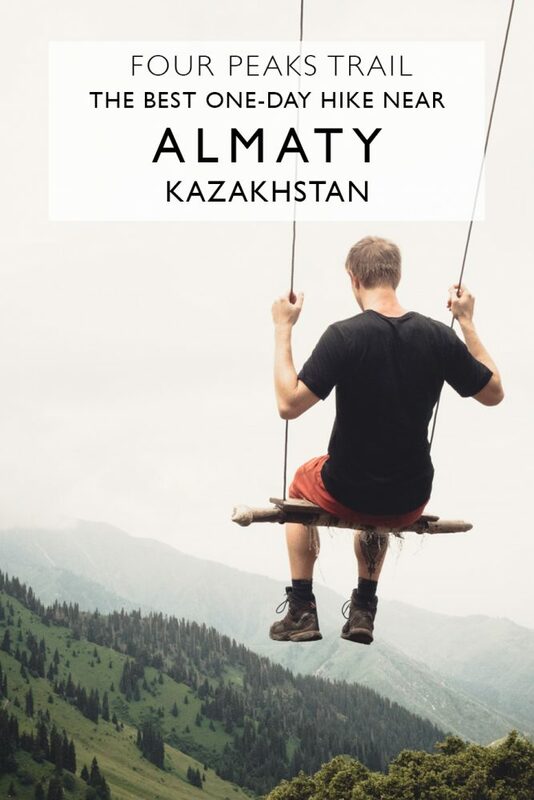 To search for available accommodation in Almaty and surrounds, click here. 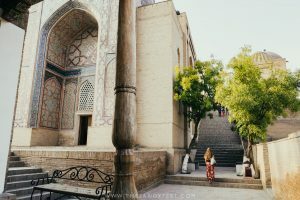 Heading to Central Asia? 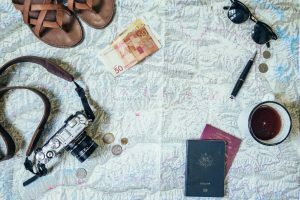 Let us help you plan your adventure.